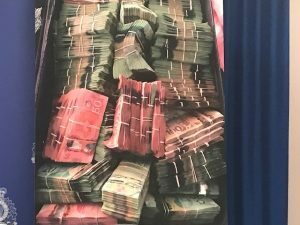 More than $840,000 of cash, six kilograms of cocaine, multiple firearms and jewelry were seized through Project Broken, the largest seizure of illicit cash in the province’s history. 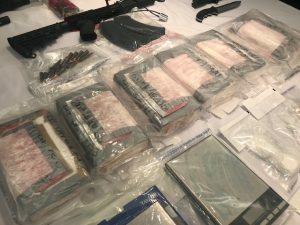 The Newfoundland and Labrador RCMP released details regarding Project Broken today, an organized crime investigation by the St. John’s Federal Serious and Organized Crime Unit. The investigation began in May 2017. 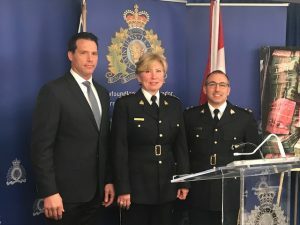 Police were able to identify the structure of the organized crime group and its inter-provincial drug trafficking network, which was responsible for the importation of large volumes of cocaine into the province and the laundering of monies associated with its operation. The total value of all items seized, including cash, is approximately $1.4 million. NTV’s Kelly-Anne Roberts is covering the story and will have a full report on the NTV Evening Newshour at 6.